We get a lot of questions related to herniated discs, which is understandable. Herniated discs are quite common, and many of the people that come to us for help with pain suffer from one or more herniated discs. 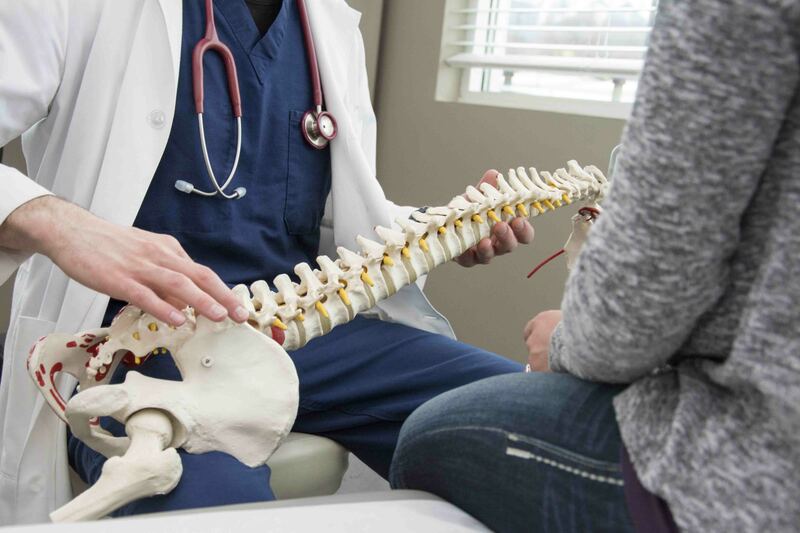 We have put together this list of herniated disc FAQs and their answers to answer your questions and help you understand the basics of disc herniation. If you need more information, or you are currently in pain or discomfort, please do not hesitate to get in touch with us. We are your Harrisburg chiropractic team! The term herniated disc is a broad one, meant to describe a condition where the interior substance in the disc protrudes outward. A normal disc in the spine is made up of a tough outer layer with a soft, gelatinous interior. Many people describe discs as being like jelly donuts. The gelatinous material is supposed to stay in the disc, but through injury or disease, sometimes the interior makes its way out. A herniated disc can range from a small bulge to a big bulge, and sometimes the inner disc material can actually break off from the disc. Extremely common. In fact, most herniated discs do not exhibit any symptoms. You may have one or more herniated discs in your back that do not cause any pain. Why does my Herniated Disc Hurt? If you are unfortunate enough to experience pain from your herniated disc, there could be a number of different causes. The actual disc can be painful, but more often the pain is the result of the bulging disc pressing on one or more nerves in the spine. The exact cause of your pain can only be verified by a medical professional. Even with a medical examination and scans it can sometimes be difficult to identify exactly what is causing the pain. In our opinion – and the opinion of most chiropractors – the best way to treat a herniated disc is the method that is the least invasive. While surgery may be an option, and it may be recommended by some doctors, we want to stress that surgery should only be a last resort. Most of the time back surgery causes more problems and does more damage than it fixes. We advise non-invasive approaches like chiropractic adjustments to realign the spine and relieve pressure, spinal decompression to encourage healing and massage therapy to relax the soft tissues around the injury. We offer a free initial examination where you can speak to a chiropractor and get knowledgeable insight about your injury. We can help you identify whether you have a herniated disc, and we can advise you on effective treatments that can ease your pain and discomfort. Please contact us at (717) 540-8448 today to schedule an appointment with a chiropractor!